Successful leaders are assertive leaders – but what does that mean? 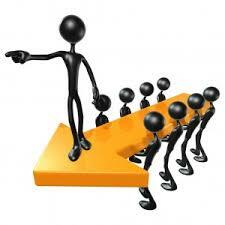 The importance of assertiveness to become an effective leader in organization. One should build on own strengths and eliminate weaknesses, enabling self to develop a winning attitude. Learn to be assertive but not aggressive, confident but not overly so – and thereby gain the influence you need to lead your team or organization. Try not to be easy to read, especially if you are nervous or uncertain. Even if you are nervous or confused, you can still act confident. If people aren't noticing you, say "Excuse me" clearly and firmly. Try to be concise when you speak. Simple steps to be Assertive. Dressing well doesn’t necessarily mean dressing up. Being too accommodating can actually make things harder for people. Many people who want to be assertive overcompensate by being aggressive. The whole point of being assertive is to get what you want. Say what's on your mind. Don't be silent if you have something to say.